The University of Virginia’s planned new student health center will be a cutting-edge facility that greatly expands services to students – including a significant wellness component. The Student Health and Wellness Center is on course to be completed in 2020. Located at the south end of Brandon Avenue, the center will feature four stories, expanded parking and 156,000 gross square feet. It will include spaces for general medicine, gynecology, Counseling and Psychological Services, Student Disability Access Services and Health Promotion. Dr. Christopher Holstege, the center’s executive director, said the facility has been about five years in the making, with its design shaped by numerous site visits to other top-quality student health centers at universities around the country. “I truly think we are going to be cutting-edge,” he said. 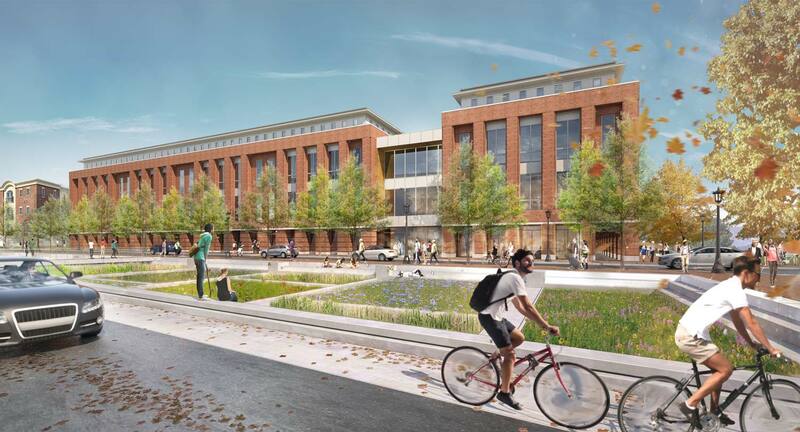 Earlier this month, UVA’s Board of Visitors approved the facility’s schematic designs. The $100 million project is being funded, in part, by a $40 million gift from an anonymous donor. The University has also committed $30 million and is raising money for the balance. In addition to new features such as a radiology clinic and retail space for a pharmacy, the design includes beautiful green spaces, large lounge areas for students throughout the building and a spacious student living room on the first floor – final details are still being worked out. 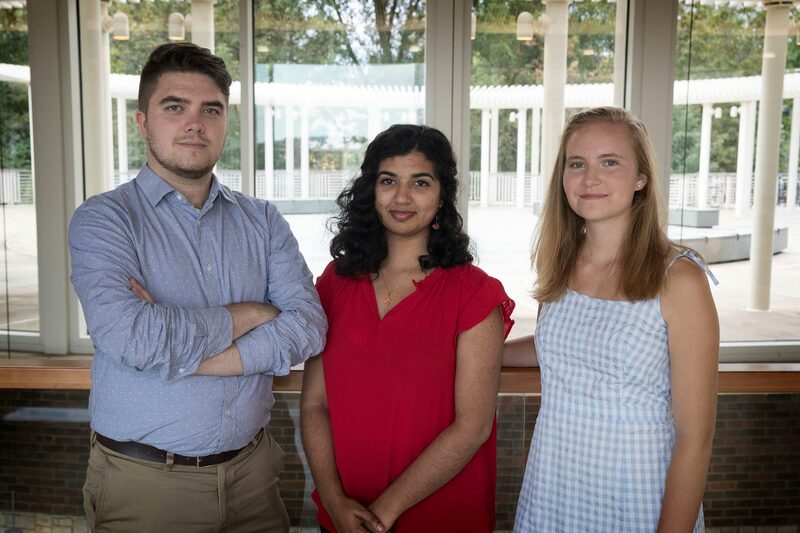 Holstege said one of the drivers for the expansion of the center’s services is simply that UVA has more students, and with that comes the need for a more comprehensive set of services. The expanded emphasis on wellness is a signature of the new facility’s plans. “There is a large component of medicine now that’s transitioning to preventative care and wellness care,” Holstege said, care that encourages several practices, including getting enough sleep, exercising, eating well and having good relationships. “We are not just a sick-model center; we are also looking at, ‘What can we do for those students who are well?’” he said. Thus, the new building will include a teaching kitchen to show students how to make healthy meals, meditation spaces and tons of student-run activities – features attributable to heavy student involvement in the creation of the center. The Student Health Advisory Committee has provided diverse student perspectives during the different stages of the project’s development. One of last year’s committee co-chairs, Anjali Kapil, is now serving in an advisory role. She brings four years of experience in epidemiological and health administration research she did for the Elson Center as an undergraduate. (She graduated in May with degrees in global public health and sociology.) Kapil, who previously worked directly with Holstege, said much of that research she conducted was for the new building, and she wanted to remain in an advisory role to offer any insights that she could. The new center also will address another evolution in higher education. More students than ever are studying abroad, so the new facility will expand its traveler’s clinic so students can get, with ease, the proper vaccinations, medications and even education on how to stay healthy and safe wherever they travel. Holstege said UVA has been at the forefront of student health since the 19th century. “Back in the 1800s, we were really cutting-edge regarding the infirmary that was built” – Varsity Hall, today the home to the Office of the Vice President for Research – “with everything from the water collection to the ventilation,” he said. The new Student Health and Wellness Center will continue that groundbreaking trend. “Here we are about 160 years later, and we are the lead again in the country, I think, in regard to the building and how we work with our students to make sure they are well,” Holstege said.